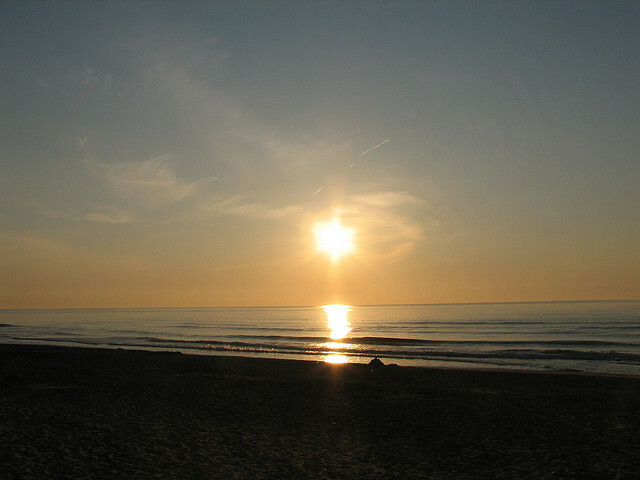 An excerpt from the book blurb of Mark Duffey Novel, Ocracoke's Curse, provides the important historical background for readers. On November 22, 1718, Lt. Robert Maynard of the British Royal Navy defeated and beheaded the infamous pirate, Blackbeard, at Ocracoke Inlet off the coast of North Carolina. Hundreds of years later, it is said that Blackbeard’s spirit haunts the area, searching for his lost head and seeking revenge for his untimely death. Callahan began to drink rum, allow his hair and beard to grow, and his nights were full of nightmares of Blackbeard's life. Often, he would shout out "Ahoy Mates" or sing a pirate song... His wife began to be afraid and she soon started to talk about the changes with his brother, Steve, and Sam, who was their best friend who also worked as their salesmen. Mike now refused to attend church, paid little attention to his wife and children--and soon began to go out alone most nights. There is one significant issue readers will discover--the unexpected transition from Blackbeard's activities to those of, I will say, angels helping Mike... It caught me off-guard and confused, but only for a little while. I include it in my review because others may describe it as a failure of the author. I'm not sure that it was. None of us know when God may choose to intercede in our lives. When a man is possessed by, essentially, a ghost--but definitely what was clearly evil, there is little we as humans can do, except pray and seek help. That's exactly what happened in the last part of this mystery. I'm not sure I would call this a mystery, though, because solving it was never completed. Blackbeard? Is he still roaming the water of Ocracoke Bay? Is his spirit completely gone from Mike? You, the reader, will be required to decide those answers based upon how the book ended. For me, I came away satisfied and found much to consider about the constant balance of power of evil versus the power of love and prayer. I think the one transition "glitch" was when Blackbeard's spirit took control and it's not worth detracting from what happened next. This is an unusual presentation, taking a piece of history and saying, "what if?" 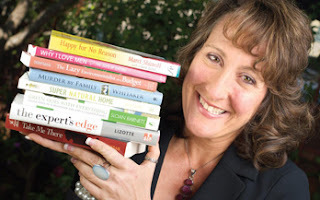 Marketing Expert Penny Sansevieri Always Shares Stuff I Want to Know! You Too? If you are ready to take your business, speaking career or book to the next level, consider becoming an expert. There's a lot of talk these days about "being an expert," and many folks who say they are experts really aren't. Becoming an expert isn't an overnight process, it takes time. In my view, however, it's time well-spent. I often get requests from folks wanting me to make them an expert and while it's somewhat doable, it's not entirely realistic that someone else can bestow you with expert status. Even if you pay them. You might argue that that's what a media/marketing person should do and to some degree, that's true. But what a lot of speakers, business owners and authors fail to understand is that becoming an expert isn't something you do overnight, and if you hire a company to do this for you you'll need a pretty big budget and a whole lot of time. 1) Have a voice: Yes, this means a blog and yes, this means writing blog posts at least twice a week. Speak to your topic and do this on your blog. It's important, trust me. The blogs don't have to be long, 500 or so words, even less. The reality is that as long as the blog contains helpful information, that's all that matters. 2) Content, content: Generate helpful, insightful content that speaks to your end-user. Mike Stelzner talks a lot about this in his book: Launch (http://www.amazon.com/Launch-Quickly-Propel-Business-Competition/dp/111802723X/ref=sr_1_1?s=books&ie=UTF8&qid=1329270823&sr=1-1). Creating helpful, useful content is a great way to drive interest and readers to your website. 3) Be Trendy: Right now Pinterest is all the rage in social media, and you can bet that every social media expert is jumping on this site to see what it's about. Is it a fad? Will it become the next Twitter? Whatever the trend is in your market, be sure that you're on top of it, know what's happening and what's hot. This will also help you create insightful blog posts and other content. 4) Participate in media requests: If you don't subscribe to HARO and other media leads services (and most of them are free), you should start doing that and make it a rule to respond to at least one media lead a week. If you aren't sure how to respond to leads, check out my article ( http://www.huffingtonpost.com/penny-c-sansevieri/maximizing-media-leads_b_748574.html) on using media leads to grow your career. 5) Get social: This means that you do need to get out there and do some social media but don't just go "everywhere" - go everywhere that matters. If LinkedIn isn't part of your demographic, there's no need to be on it. Find out where the other experts are in your market and then go to those sites. 6) Go to events: Being an expert isn't always about networking online, sometimes it's also about going to events, getting to know others in your industry and staying "in the know" when it comes to the latest technology and trends. 7) Be generous: Giving information is really a way to capture a bigger audience. I've seen people bristle at this statement but it's really the way to go. While it might seem counterintuitive to give away information, consider this: the psychology of giving information is that your consumer will think "if they are willing to give this away, I bet they know a whole lot more" and then they will be willing to pay for that "whole lot more." We've always given away a ton of information, sometimes to the point that people say, "How do you make a living?" Well, we do make a living and have for 11+ years living by this model. We've never run a single paid ad for our business, it's all word of mouth, and, free information that brings people to our door. 8) Network online: It's always important to make online networking part of your daily/weekly routine. What do I mean by online networking? Consider following several of the biggest experts in your category and then retweeting their tweets, and commenting on their Facebook, Google+, or LinkedIn posts. Generally make sure that you are sharing their info and hopefully someday they will help you share yours. 9) Review other people's books: If you're in a market with folks who author books, you should consider reviewing their titles on Amazon.com. Not only is there a lot of goodwill in that, but it's a great way to connect with other experts in your market. 10) Be helpful: This is right up there with being generous. Be willing to extend a hand to someone else in your industry to help them with a launch, offer to share their promo with your list, or give some insight to an industry newbie. Becoming an expert isn't just doing one thing consistently, it's really a blend of many different things that should be part of your daily and weekly routine. Having a voice in your market will not only help to raise your profile, but it will also help boost your business. You'll find opportunities coming your way, and marketing your speaking career, business, or book won't seem like such an uphill battle. At the end of the day, becoming an expert is really about joining the conversation both online and off. It's about lending some helpful insight when warranted and about sharing your wisdom with others. Give and you'll get; it may sound corny but it works. support in turn our heads. through the glowing heavenly stars first. Never taking time to share what lives in our hearts, our minds. Can it really, really exist? Great Christian Mystery and Romance from Anne Patrick! "She also had a skull fracture." "You've seen the body?" he asked. tripped and struck her head on the corner post." any, is destroyed or drastically altered during a fire?" touched." She glanced over her shoulder. my opinions are seldom wrong..."
Of course I love many male lead characters as well, but, having worked in a male-dominated profession for many years, I must say that the reality is rarely how it's written in books, so I enjoy escaping into a fantasy where the female "rules." LOL And, of course, Sadie and Quinn will begin a relationship, but later in the book! Larissa Ingram had apparently been house sitting for her parents, Mike and Donna, who were away on vacation. Quinn was upset that arson was suspected, since the Ingrams were such a nice family and well respected in the community. If it was arson, was it someone within the family or a crime against them? I enjoyed watching as the relationship between Quinn and Sadie developed. In her professional life, she had grown confident and self-assured, while Quinn, around her, seemed to be lost for words--even admitting she had him bested from time to time. Sadie's teasing was a natural outgrowth, except when Quinn forced a serious discussion about her past. Everybody reading the novel will catch the amount and quality of the forensics expertise displayed by Sadie and how it was used to finally solve the case, unfortunately not without her being hurt in the process. Many issues keep readers fully interested, not the least of which is the romance. Well written and thoroughly enjoyable! 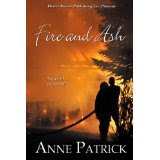 Anne Patrick is the author of more than a dozen novels of Romance, Mayhem & Faith, including the award-winning and bestselling Fire and Ash, Lethal Dreams and Sabotage. Her heroines are usually strong willed, witty, and often very opinionated...combinations that usually land them in situations where death seems imminent. When she isn't killing off people or falling in love with dashing heroes you can usually find her surfing the web. Check her out on Facebook. 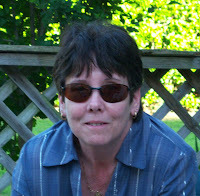 To learn more about Anne, please visit her website: http://annepatrick.weebly.com/index.html or blog: www.suspensebyanne.blogspot.com. She loves to hear from her readers! 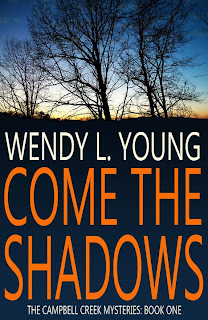 Enjoy First in Mystery Series by Wendy L. Young! I believe in with all my heart. And that's all you need to know." You know it's a quiet little town when the central meeting place is the Pie Shop! What a cool idea--pie for breakfast, lunch and dinner! At least it was for Will Harmon, a member of the police force in this small town. We meet him first at the site where a body had been found in an empty bread factory. He hoped to get the case since there hadn't been a murder in 17 years, but once again it was already assigned--to somebody who would never share details with him! So, since he also learned at that time, that he had a new partner, Rogers, he told him to meet him at the Pie Shop for breakfast! They hadn't had a new officer for more than 10 years and Will knew that he would be expected to train him. Then when he got home, Laura, his wife announced that they had new neighbors--the Rogers... Too much togetherness? Most of the town enjoyed living in Cabin Creek, but recently a developer had proposed a new project for the town. All of the old factories were now deserted so many would find work if approved. Laura was very concerned that they didn't know much about what would take place and that it was moving so fast, so of course, Will was also involved. The town seem to be moving toward a division.especially when Laura took on the lead role in requesting detailed information, including building plans. But then the developer started to talk with individual property owners and was offering enough that many started to make commitments to sell. Will of course jumped on the case, investigating even when he wasn't supposed to, happy to realize that his new partner was willing to help and had some experience with homicide. Sure, the murder mystery investigation was important, but readers also become involved in Laura's fight against the town's politicians regarding the new development--and we learn quickly that Laura is a formidable woman! In fact, readers will enjoy meeting the whole family and will begin to look forward to meeting them again in the series. The ending was a surprise and was handled quite effectively even though it involved an unexpected turn. Spotlighting the plight of small towns which are built when work is available and then are hurt when the factories close or move away is one that can be often found across America. But new development is not always the answer and must be thoroughly investigated! Wendy Young has taken a routine situation, created caring people, as well as criminals that do what they do best. Adding murder makes this one I would include in the "cozy mystery" genre since Laura got into the investigation!...You'll know you want to continue the series because of the setting, the people...and the great writing style that's been presented. Enjoy this one! 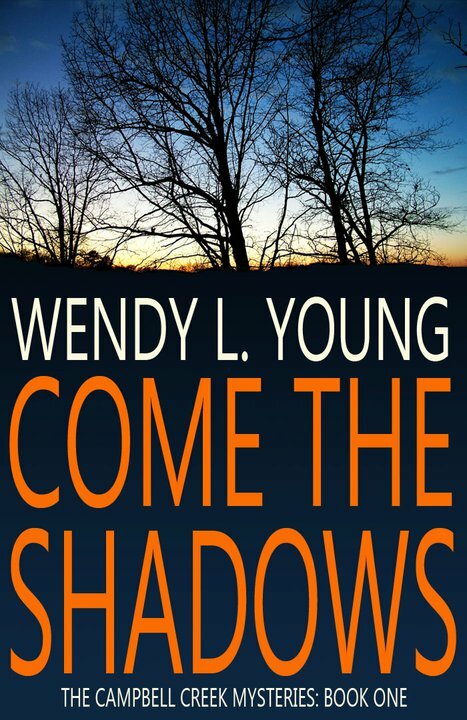 Wendy L. Young has been writing for more than twenty years. 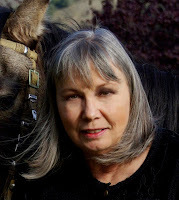 She writes character-driven mystery and suspense set in the fictional town of Campbell Creek, North Carolina and is currently at work on the third installment of the series. Wendy lives in East Tennessee with her husband, son, and one grouchy cat. Sandy Nathan had a dream--and she named it! You are now reading my thoughts about this quirky little book that was dreamed--"something that is strange, not normal but cool" according to the Urban dictionary. Strange, for one thing, because as I read, the word quirky came to my mind! I've never used it before! But I have dreamed an entire story, which I never published...but just might now! Certainly there are other books out there about the end of the world and I've read quite a few recently due to the "2012" scare... But I don't think there is ever going to be another like this one! What I found interesting was that the story is just before the very end, but there is more important "stuff" to engage readers! Like The Angel and the Brown-Eyed Boy... These are quirky characters--"different--in a good way." Sure, there are strange things happening in the world--like being watched continuously. And, oh yeah, Russia has made a comeback and now is the leader, more like overlord, of the world. And there doesn't seem to be many people left, in fact, some of the "land" is already gone. But none of this is too surprising, at least not for me... Those of us at my age seem to be more aware that this is really going to happen one of these days and, Sandy, as an economist, uses her expertise to hypothesize and fantasized what will happen. Unfortunately, with her expertise, some of her thoughts may indeed be prophetic..
Ahhhh, then I met Eliana, she was such a delightful character that my focus narrowed...where did she come from? Why was she here? Was she really an angel--or an alien? This dream also includes a love story like no other--really! "I write books that touch the heart--and the mind and soul. While my books have thrills to spare, they're about making the world a better place. 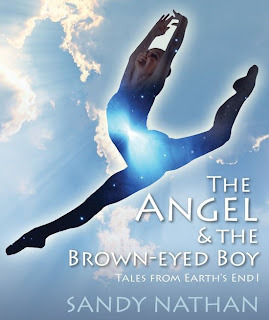 I've won twenty-one national awards, many of them in visionary fiction. My vision is unusual--my stories don't always have happy endings and sometimes they're plain old scary. Whatever I write, originality and creativity are my hallmarks. You won't get a story you can predict from me." Born in San Francisco, Sandy Nathan grew up in Silicon Valley's competitive corporate culture. 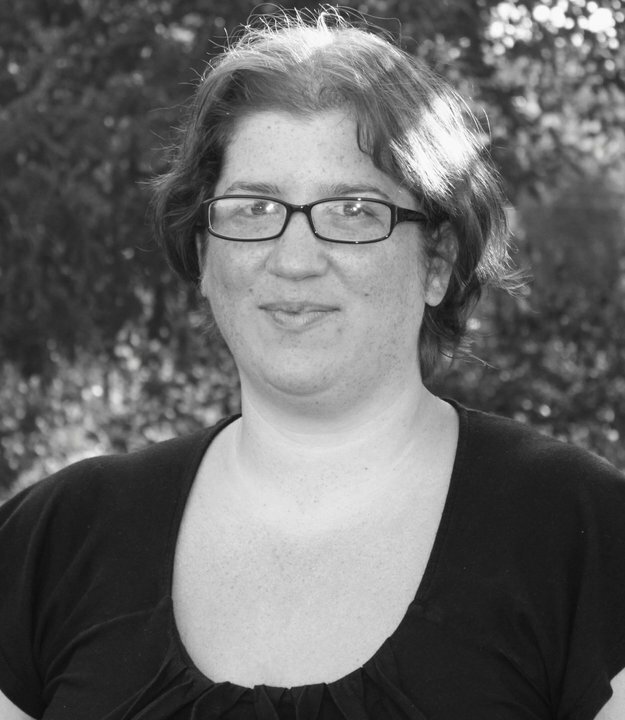 A full time writer since 1995, Sandy Nathan holds master's degrees in economics and counseling. She has been an economist, negotiation coach, and businesswoman. 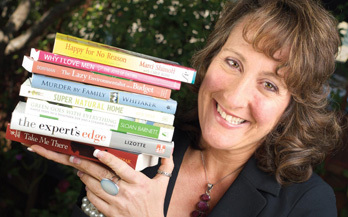 The visionary part of her writing flows from her meditation practice and spiritual experience. A lifelong horsewoman, Sandy is a wife and mother of three grown children. She lives on their California horse ranch. So You'd Like to Blog? Guest Aaron Lazar Shares Excellent Guidance! For Writers: Blogging - What's the big deal? I'd just finished my sixth book in May of 2005, when I was approached by Bob Burdick to create a piece for his book-lovers' website. "Just tell us about your writer's life, how you manage to work and write at the same time. Tell us about the person you are, and how it all fits together." I'd never really written much more than fiction, emails, and tech reports at work. And I wasn't sure how to begin. So, as I normally do, I just started writing. I think back to that day as the unleashing of a whole different type of writing. This was personal, easy-to-read, and fun writing. Sort of like emailing one of my fans, or speaking one-on-one to a newbie writer who approached me for advice at a book signing. At the time, I didn't think of it as blogging, per se. I didn't really know what a blog was back then. So I called the torrent of mini-essays that ensued "Seedlings" columns. 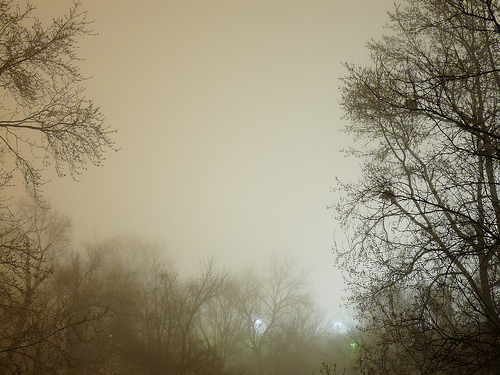 I thought of them as "little seeds of ideas that sprouted in my brain while driving to work or before falling asleep. Not enough to flesh out into novels, by any means, but insistent enough to require capturing, all the same." Writers need to establish personal blogs to help promote their work, network with readers and writers, and to provide a home for their articles. But that's not really enough, these days. It's also good to get on a regularly published list of literary journals, group blogs, social media sites, etc. if you can. For example, my short pieces go up monthly at sites like the Future Mystery Anthology Magazine, and The Voice in the Dark Literary Journal. I also post weekly on my collaborative blog, Murderby4. Every Sunday, I write my piece then post it here on my personal blog, too, and copy it over to one of my favorite social media sites, Gather.com. Often I'll have the energy to do the same at some of the .ning groups, like The Book Marketing Network, or Book Blogs. There are other sites I used to frequent such as EzineArticles.com, Helium.com, etc. Lately I've had a hard time keeping up with all their requirements about so many allowed links per article, etc., so I've sort of slowed down there. But they're all good, and I'm sure you can find your own assortment of places to post your blog pieces in addition to your personal writer's blog. The message here is to take advantage of the time you spend on these articles, and post them all over the place to get more coverage. From each of the postings, I then tweet the article by simply clicking on the small Twitter icon at the end of each piece. I add key words to the canned pretweet, and often add "Plz RT", which signals my pals on Twitter to retweet the link to their followers. In order not to overwhelm my friends on facebook, I generally post a link to that site just once, linking to Gather, where many folks add their comments and their own observations about the topic of the day. I also keep a list of subjects I want to write about so I don't run out of ideas. Don't get me wrong - sometimes I come up empty-handed. It's hard to have a column ready every week, never mind while keeping up with the current WIP. I don't know how those newspaper columnists do it! Why do we do this? What's the benefit? And how can we justify taking time away from our "real" writing to do these short little blogs? First of all, it's about connecting with people; connecting on a deep down, personal level. If you can relate to your readers, they might wander over to see what else you've written. Perhaps they'll check out your books. And maybe even buy some! More often than not, however, you'll find the benefit of blogging is a gateway to meeting wonderful people who often are in your boat. These writers may have their own blogs, may be looking for guest posts, just like you. Little by little, by sharing, networking, and helping each other, you can all gain more exposure to readers and blog followers by holding hands and posting each other's pieces. There's a lot of synergy in that model. And eventually, assuming your books are good, you'll start to grow a nice audience for your work. Of course, you also want to offer something of value to your followers. In addition to hopefully entertaining them, giving them a bit of a laugh from time to time, and offering the benefit of your own observations and experience, you want to help them on their own journey. Be open to newbie writers who have never written a blog in their life. Offer to showcase their new book. Ask folks whose books you've read to guest blog for you. You'll be surprised at how many of the best selling authors actually respond and appreciate the option of reposting their blogs on your site. Always be willing to pay it forward, and offer freebies off and on like contests where folks can win a copy of your eBook(s) or print books. You can host other author's giveaways--that's always a treat for readers--but be sure you don't make the conditions for winning too hard. That never works. Usually I just ask someone to comment on the article to be eligible to win. Simple and effective! I've sometimes read that blogs should be "short and sweet", that My version of blogging doesn't necessarily meet all the "rule of thumb" advice that I'd stumbled on over the past seven years. I've sometimes read that blogs should be "short and sweet", that you should blog every day, and that if you write something longer than 500 words, people lose interest. I'm not so sure about all that. So, I don't follow those rules, and in the course of letting myself navigate through this mire with my own instincts, I've managed to create a pretty decent platform. The last time I googled my name, I got over 4,000 hits, mostly from the articles I've written. I've tried to help writers by sharing advice and tips, and have connected on a deep level with so many wonderful folks, not limited to writers or readers. It's been a good run, and I'm grateful for all the folks I've met through this process. Don't let all this scare you if you haven't ever blogged or are just about to release your first novel. It's a growing and learning process that comes with time. Start with your own blog. Gather up your book cover images, a headshot if you like, and links you might like to add to the side bar. If you already have books to sell, sign up for Amazon Associates and get your product links. You can also create mini-slideshows where you feature your own book covers, and it's really easy to copy the code onto your own blog sidebar. Blogs are fairly easy and intuitive to create, using a platform like Blogger or WordPress. Usually it's all free, too. Some blogs go a long time without any official followers. And that's okay. You can check your stats to see how many hits you've had. Just keep writing, check out other blogs, and comment/follow them if they suit your interests. Then you can invite folks back to read your blog, and the whole process begins! It's really easy to get so caught up in the promotion of your work that your free writing time for your WIP almost disappears. Try to get on a schedule. You need to balance this aspect of your marketing plan with the time to actually create more products to market! It's a real challenge. Best wishes and good luck to all, and remember to write like the wind! Aaron is a man that I admire greatly...Since I've done and said much of what is here, I know we think alike and would be friends--if we ever met! LOL! That's what is so wonderful about the Internet and Blogging. Most of my time, in addition, to Blogging is of course taken up by reading YOUR books, Aaron's among them and I love his work! When I started Reviewers Roundup on Facebook, this was the reason! You can never have too much publicity...and to ensure your message gets out, you have to build in time to do it and think creatively as to how to accomplish this! It's not hard! Aaron and I have thought independently of the same activities, so all you have to do is think HOW...and read great articles from Aaron and many others! Join Reviewers Roundup Right Now--It's Open to the Public! Just stop by and visit whenever you can! 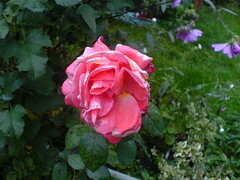 Of the better half of November. As though I were living the Middle Ages. Seeks deeper roots in the moist soil. One bouncing off toward my head. On morphing into your face. As though it were real. Nina Vida Shares History/Alternative History of Mexico! The first and last Emperor of Mexico! History in itself is sometimes more chilling that real life, especially so when it is woven into a novel that contains many historical facts merged by an author who has thoroughly researched and studied the story to create a tale that is both informative as well as fascinating. Maximilian and his entourage came in the 1800s when he was made Emperor of Mexico. In Spain he had been an Arch Duke, and really didn't have the drive to take over a country; however, his wife declared that she had a vision and so they traveled with everything they needed, having been financially supported by Napoleon. 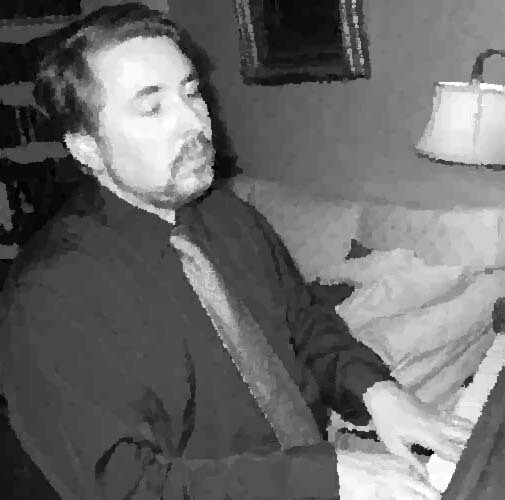 However, Maximilian was really not a leader and spent much money beautifying buildings and gardens that pleased him and he would stay there until another building was found, always needing much work. But little was done to take over as Emperor or to claim some of the riches for Spain. Until Napoleon was no longer willing to support his continued draw on funds! By that time, years had passed and Maximilian was more in tune with Mexico...and became a beloved leader as he fought with limited soldier support against the Spaniards who invaded! Just a short note to explain that Father Aguilar had, (after seeking God's forgiveness) begun to use his prayer book to write about what was happening, in the margins, so that this book was later passed down and became an important part of the lives of the children, telling much of what had occurred during the hundreds of years that had passed. The chapters are titled to explain the characters as they appear as readers are moved back and forth in history. I believe, though, that the one concept that you will realize and see carried through the novel is the fierce love and loyalty of those who either lived or came to Mexico--developed as they lived the simple life, enjoyed the beauty of their surroundings and came to stay, even when they were given opportunities to return to their own countries. Certainly a tribute to the appeal of the country! There is much to learn historically about Mexico. As is often the case, it is hard to understand the military actions of killing, stealing, etc., to capture land and its riches. So there are some gory scenes, such as when Guerrero is "changed" to sit as a leader of the tribe. Still it was what happened during the wars when the European countries came to claim new lands. The author has created an outstanding collage of what occurred and then gives us a much more in-depth view of those more recent times that brings us a story of a slaughter that many never heard about...There is much to learn and ponder in this historical sharing of our border neighbor. An important addition to the historical and alternative history genre. Highly recommended! What Would You Do If Your Child Was Dying? What would you do if your child was dying? Of course, everything possible! But what if you had personal professional knowledge that could be used to help find a cure? How far would you be willing to go then? Draman's daughter had been born with a genetic defect, progeria, that caused her to age faster than normal. The little girl was just 8, but she was old enough to understand--to know that this would bring her death. All of the family had become resigned to making the most of their life while they were together. Draman had sought fiinancial support for research; however, this condition was rare. Too rare to have limited funds invested in something which had a lower number of patients. When something like this is said, the mind can accept it as logical, but the heart never will. Of course, they went on the run! Draman, a microbiologist, had received research data from a colleague, Annette Chevalier, who was now dead--Richard felt it was a suspicious death! Annette's research revolved around the "fundamental structures of life." As he reviewed the material, he realized that the information could potentially be used for Susie if he could figure out how it could be applied! But there were others who had also realized the potential--against aging--and wanted those research materials! The story is well-written and well-paced, and even though there is travel as the chase takes place, for me, it lacked the depth to pull readers in to the overall action as once again rich, powerful men pull the strings... . On the other hand, the research activities being spotlighted are important for all of us, knowing that not every disease or medical problem can be solved. I was moved more from the sympathy toward the family then by any other emotion that normally comes with a thriller. Still it is recommended for many who find that medical novels provide a much-needed knowledge that few lay people would ever learn about. 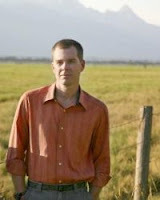 Kyle Mills is the New York Times bestselling author of twelve books, including the latest in Robert Ludlum's Covert-One series, The Ares Decision. Growing up in Oregon, Washington, DC, and London as a the son of an FBI agent, Kyle absorbed an enormous amount about the Bureau, giving his novels their unique authenticity. He and his wife live in Wyoming where they spend their off hours rock climbing and backcountry skiing. Reading Pat Bertram Gets Better and Better! I Love A Good Mystery! You?